Items may be returned free of charge to you if 1) manufacturing defect 2) sale was made in our error (wrong item was shipped, sizing wrong, etc)We'll also pay the return shipping costs if the return is a result of our error. Items may also be returned for personal reasons if it is brand new (tags still on, not washed), within 30 days, however, shipping is the responsibility of the buyer and we'll charge a 10% restocking fee. Personal reasons include not liking the sizing, fit, or color. excluding clearance items, limited releases, or other special factors listed. Limited releases are done in our facebook chatter group "babygeekery chatter." Tokidoki x Ju-ju-be are all limited releases and all sales are final due to the reasons that we do placement pictures. There is no returns or exchanges for items that are washed, and/or tags cut off for other than a manufacturing defect within the first 90 days. More time dependent on the manufacturer. There is no returns or exchanges on previously loved itmes that are bought off the "rental" page. New items that have been washed by you (i.e. carriers, wraps) will not qualify for refunds, exchanges. Please check all items for flaws/defects as soon as your package arrives. Discounted items and sales items are not eligible for return unless there is a manufacturing error or defect. If you need to return an item, please Contact Us with your order number and details about the product you would like to return. We will respond quickly with instructions for how to return items from your order. 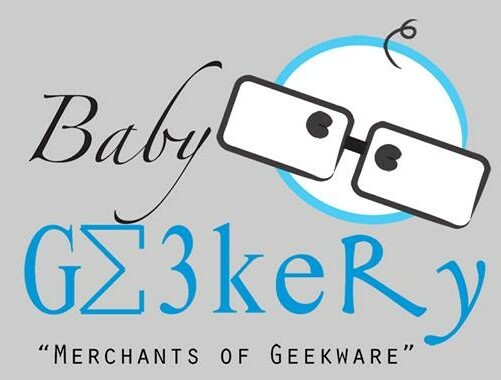 Each returned item must be approved by Baby Geekery and needs a Return Merchandise Authorization (RMA) number. Please don't send items back without the RMA number since we need to track everything in our system. All carriers will be shipped at first class or priorty by weight which includes tracking and their minimal insurance ($50), if you would like extra insurance please contact us right away and we will add it to your invoice. Local to the Ventura County areas? We offer local pick up. Simply order through our website and enter the code LOCALTOVC to get free shipping and then send us an email or facebook message to arrange for your pick up.